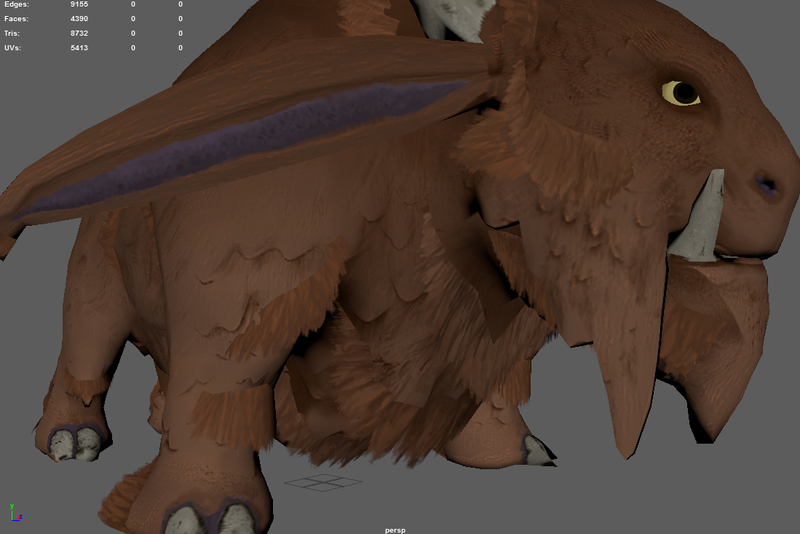 As I stated in a previous post, myself and my group leader where in discussion on how the best way to show the beast models fur would be. Though we are currently settled with the approach shown before hand, using normal maps to give the effect of thick hair on top of the model, I am also in the process of testing out the use of plains, and applying hair textures to them with transparent backgrounds. 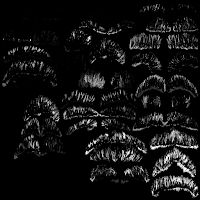 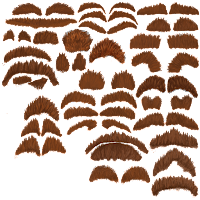 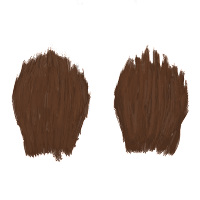 This is a quite a common approach when creating hair for a game character for instance as it give the model a more distinct silhouette and allows for a more detailed head of hair. 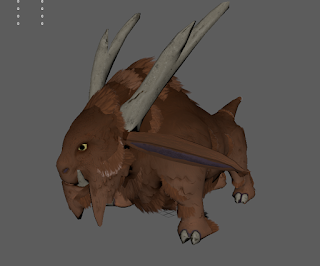 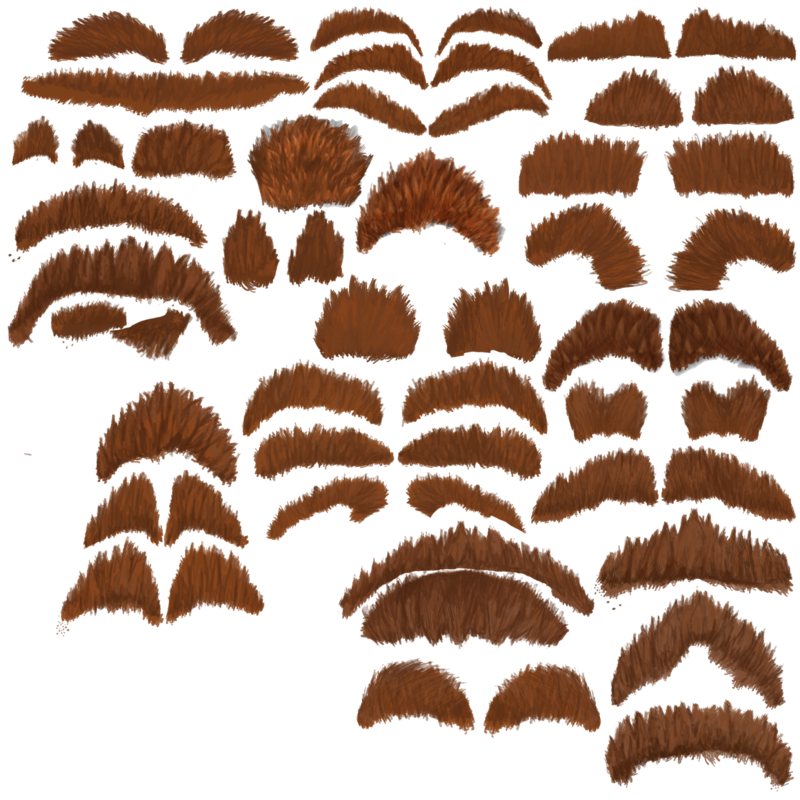 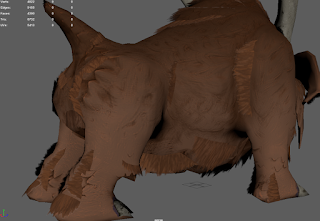 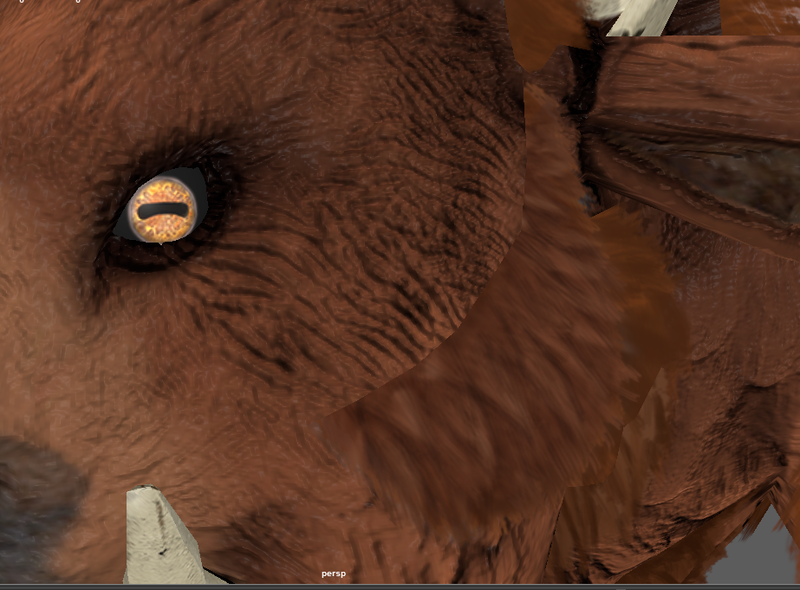 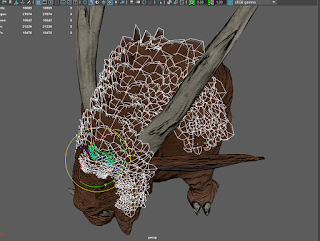 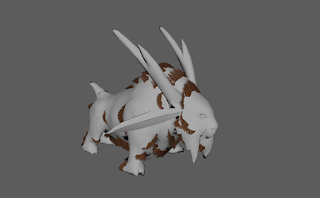 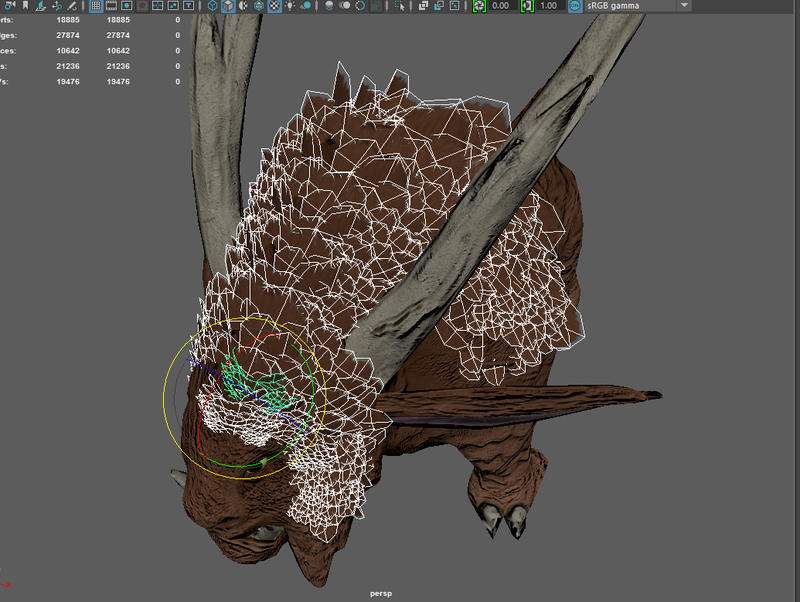 However, I found that when it came to creating fur for my model, I ran into difficulty getting the desired effect without increasing the overall poly count vastly, as show in my first couple of screen shots at the top. 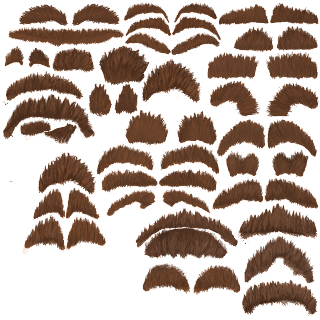 So I attempted to try making the planes bigger, and to spread them out more, also customizing the textures individually so that they wouldn't look too samey. 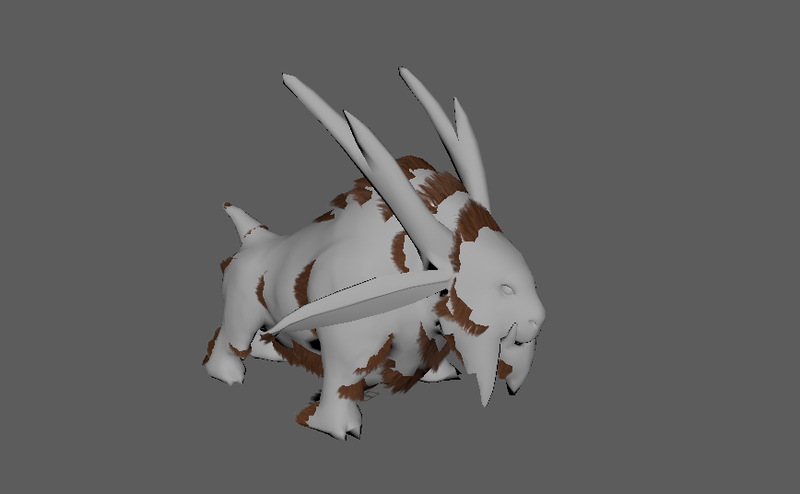 I think the problem lies though with the base texture that I am using on the model. 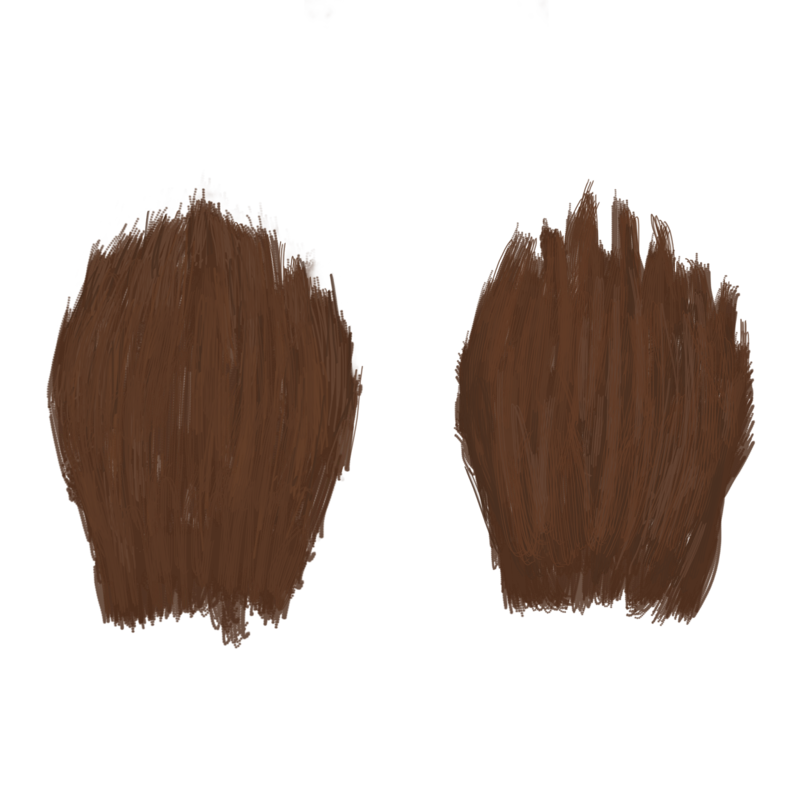 If I want my model to use hair plains, i'm going to have too approach my work flow completely differently. 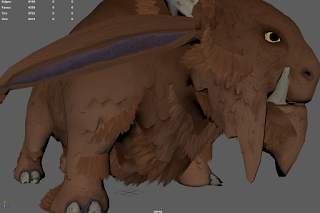 Instead of backing a high poly mesh to create normal and ao maps like I have done originally i would instead have to create hand painted textures, so that the hair would flow seamlessly into the hair texture on the plains. 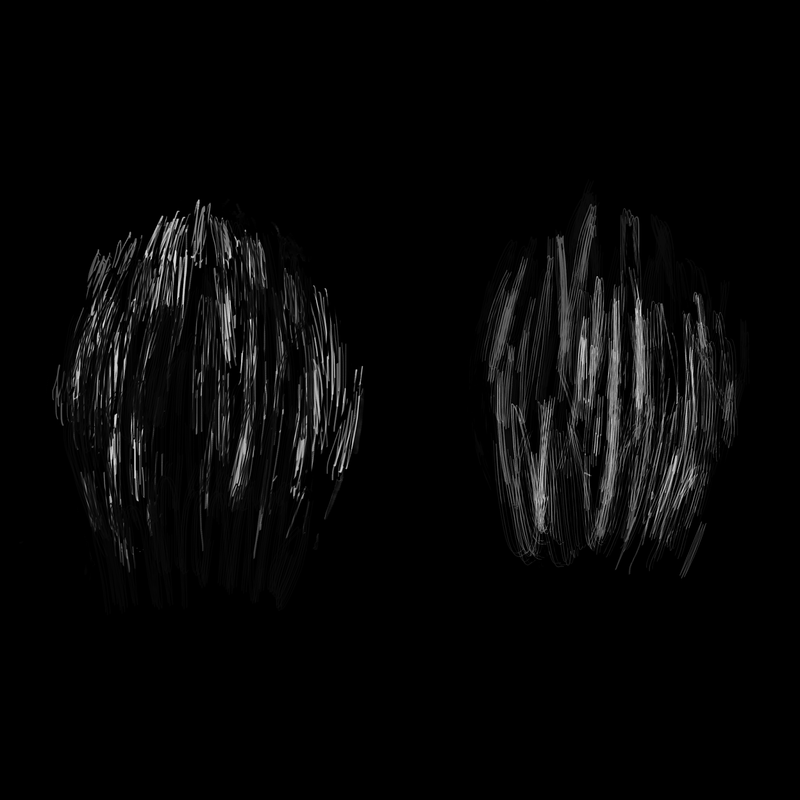 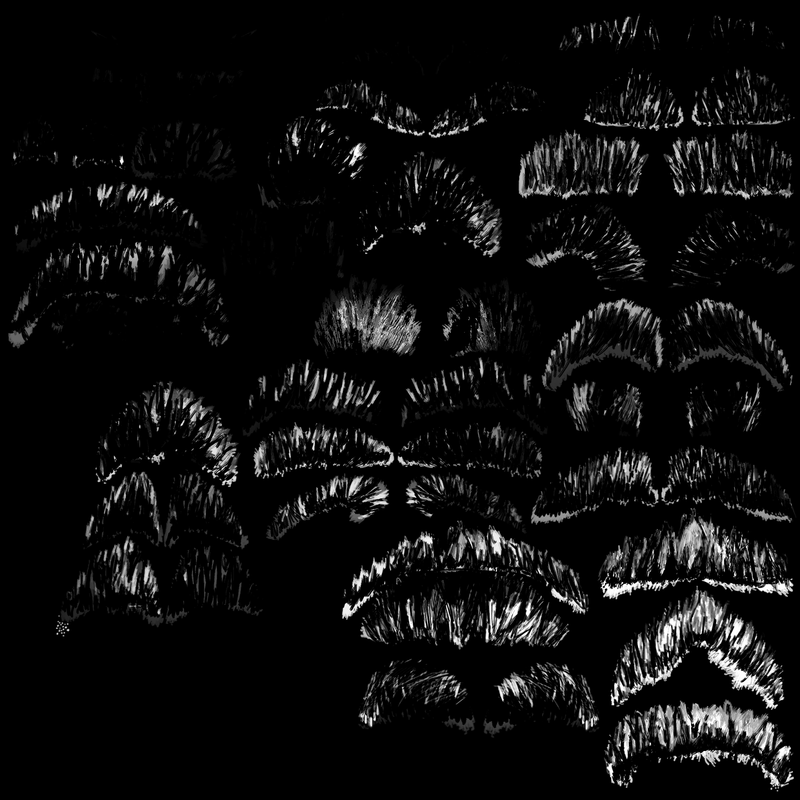 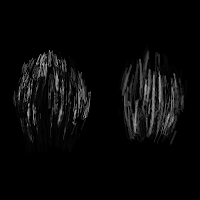 Above is a link of a what I believe to be a good example of this method of using hand painted textures. On the model in this link, you can see how the flow of the fur meets up perfectly with the tufts of hair that are created by the hair plains that are present at the belly of the model. 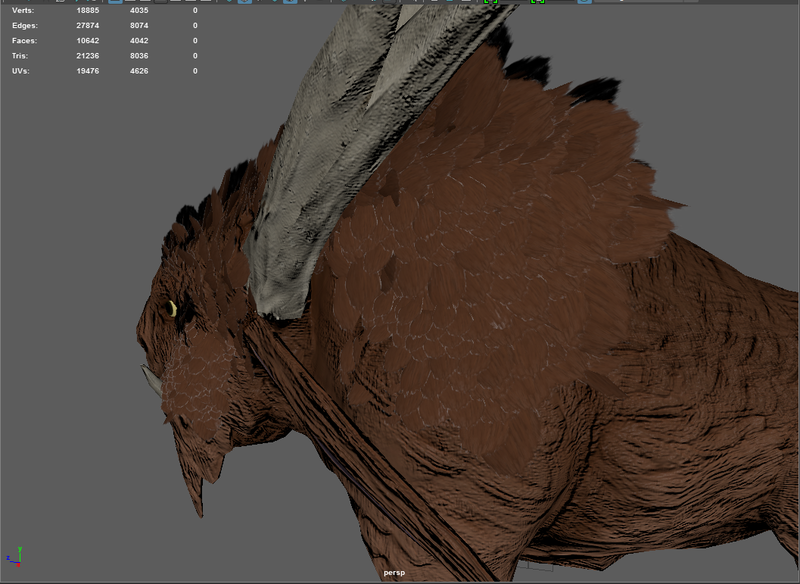 This maybe a work flow I return too if our group can decide on which style fits best in our game.